if you enjoy our music, consider donating to the choir! Your contributions enable us to keep on doing what we do. You can donate online with an EFT (electronic funds transfer) or by using SnapScan. 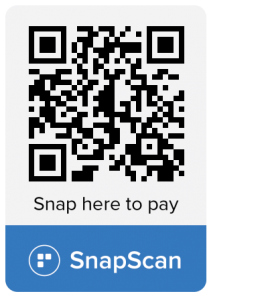 SCAN THE QR CODE USING THE SNAPSCAN APP ON YOUR PHONE TO DONATE QUICKLY AND SAFELY! If you do not currently have the SnapScan app on your smartphone you can download it by clicking here . CTYC will also have their QR available at their concerts for people who would like to pay for tickets at the door with the app. Our focus is to provide music that inspires, restores and moves the spirit.